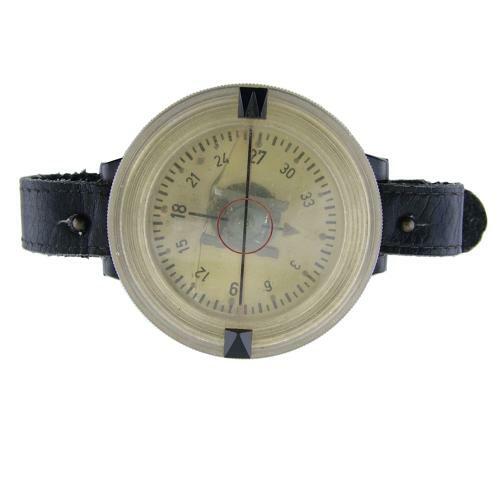 AK-39 Wrist compass. Luftwaffe reference FL23235-1. Issued to all aircrews and worn at the wrist or often seen attached to the schwimmweste. Second pattern with clear base and transparent dial. Has two rotating semi-circular discs on the base that could be used to set a course. Works very well but does have a bubble in the alcohol fluid. With the original straps in very good condition. Nicely marked. Very good '+' used condition. Stock code S20930.